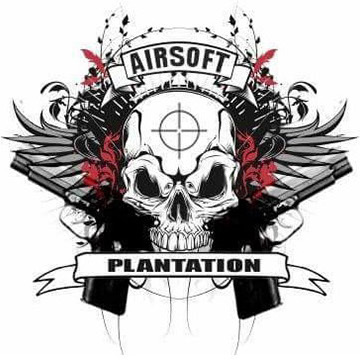 Airsoft Plantation weekenders are what set us apart from the other sites. We have been running weekend events for nearly 10 years and in that time we have learnt how and what the players want, so we always play through the night and camp within the game zone. There’s always a BBQ and wind down party for the players that would prefer to get some rest. 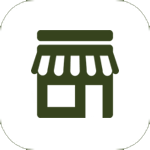 We have prize give away’s, raffles and competitions. 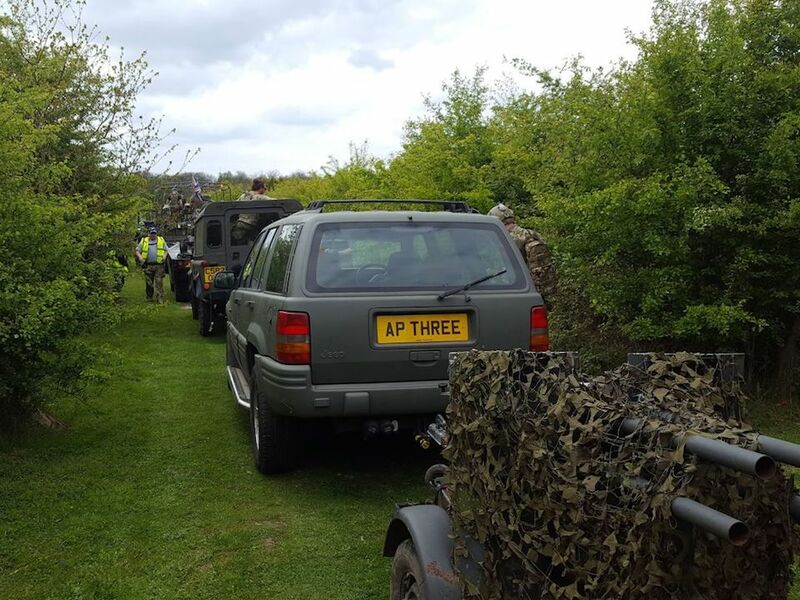 we do fancy dress, themed exciting scenarios, non stop adrenaline fueled airsoft action in game vehicles and much much more, if you’ve not been to an A.P weekender then you’ve been missing out on one of airsofts best organised events. A.P weekenders have been talked about around the world and can involve anything from live strategic bombing runs to being flown into battle in helicopters, A.P really don’t spare any expenses when it comes to making sure the players get the best value weekender for money that we can offer. 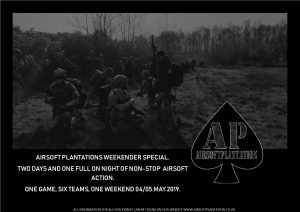 Six teams will go head to head in this full on action packed weekender, small tactical teams will compete against each other to complete multiple objectives. Game play will be free roaming, with common objectives for all the teams. We have taken all the best objectives and experiences from our previous special events and have combined them to design our all new may Weekender Special SECTION SIX. On paper this could easily be one of our favorites, the game looks amazing. To find out join in with all the action this may 2019. No deposits are needed to book on to this event but numbers may be limited so let us no you are coming on the events page only. Teams will be split on the day. In game enhancements and special events props and surprises. Full weekender pass …..65.00…..08:00 sat-17:00 sun. Day and night pass …..55.00…..08:00 sat-08:00 sun or 20.00 sat-17.00 sun. Saturday pass …..32.00…..0800-20.00 (Includes raffle). Sunday pass …..22.00…..08.00-17.00. (normal walk on fee). more game and event information will be posted on here leading up to the event. 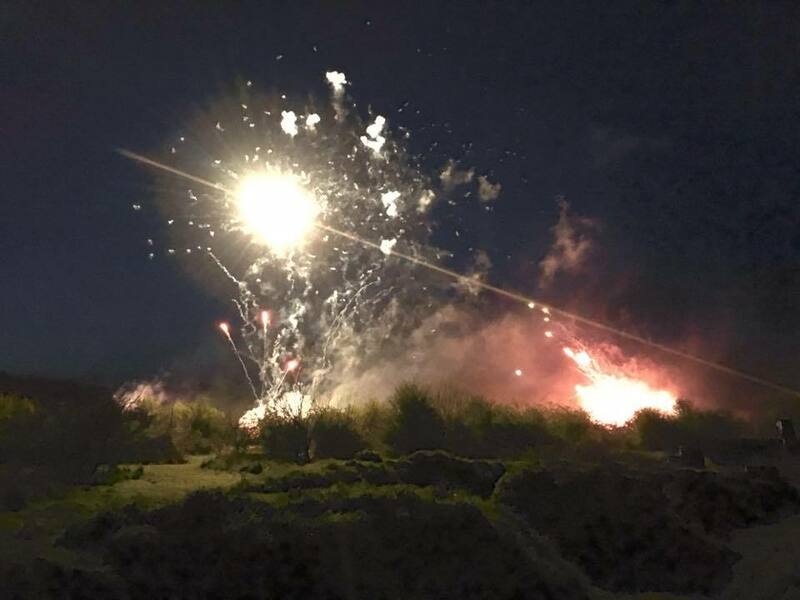 NIGHT GAME 12HR B-SIM: 20:00-08:00, 29/30.06.2019. A.P has always liked nothing more than to have a good old laugh, and we go all out on it when it comes to our special events, weather its our Christmas shoot, Halloween, fireworks night, or Easter we are always sure to put on a good show, our in game use of pyrotechnics and our amazing fireworks displays our seasonal special events are always set to go off with a bang and are sure to never disappoint.